Training Stanley to agree, to use less harsh speech, means little unless he begins to value opposing opinions, he said. “I think that what he said indicates what he thinks,” Elrich said. The issue isn't that Stanley doesn't "value opposing opinions." For the first time, a generation of community activists who basically ran the show in Montgomery County aren't always getting their way, and they're upset. Members of Wellington's generation either grew up here or moved here in the decades following World War II in search of the suburban dream, and they became politically active to preserve it. These people include community activists like Wayne Goldstein or Stuart Rochester, politicians like former County Councilmembers Marilyn Praisner and Blair Ewing, and former County Executive Neal Potter. Not all of them were rich, and like current County Executive Ike Leggett, not all of them were white. Many have passed on, but those who remain continue to stand for the status quo, even as the county changes around them. Today's Montgomery County looks more like the city these people tried to escape. There are nearly a million residents. 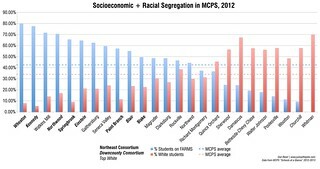 Minorities make a slim majority of the population, but two-thirds of the public school system. Clusters of high-rise towers puncture the skyline. The county is the largest employment center in Maryland, with nearly a fifth of the state's 2.8 million jobs, and one of the largest job centers in Greater Washington. It shouldn't be a surprise to Meredith Wellington that public officials aren't as responsive to her as they once were, even if they occasionally put their foot in their mouth as Rollin Stanley did. Whether or not she's a "rich white woman," she's now just one of many different voices in Montgomery County. Demographic shifts show that there's an untapped demand for urban living in MoCo, and Rollin Stanley is listening. It's the civic activists who don't value opposing opinions, like former Councilmember Rose Crenca, who said last year that people who want to live in an urban setting should leave the county. What's happening in Montgomery County now is a changing of the guard, and I doubt established political activists will leave quietly. But if they still want to be heard, they'll have to get in line. "The issue isn't that Stanley doesn't "value opposing opinions." For the first time, a generation of community activists who basically ran the show in Montgomery County aren't always getting their way, and they're upset." You clearly don't know the history of development in Montgomery County. The slow-growth activists have lost a lot more battles than they won. Developers generally have gotten what they wanted. As you said, the problem with Stanley's comments wasn't that he "doesn't value opposing opinions," but then in effect you blamed the targets of his statements for the controversy rather than Stanley. The real problem is that Stanley personally attacked the people who have views that opposed his rather than attacking their arguments. He demonstrated a lack of respect for them as people. That is simply unacceptable regardless of whether they are rich, poor, white, black, old, young, etc., etc., and regardless of their views. Stanley should resign because of that; and I would say that no matter what his position on what the county should become happens to be. I can't tell you how many community meetings I've been to where people have said much worse things than call someone a "rich white woman" when, in fact, she is a white woman from Chevy Chase. Frankly, civic activists saying Stanley's behavior is "troubling" is the pot calling the kettle black. My personal experience is that many community activists in MoCo are too willing to call themselves the "victim" while denigrating people with lower incomes/who don't drive/who are younger/minorities/and so on. I don't think they have the moral authority to condemn a public official for "attacking" them when they do the same to others. An additional thought about your post. The title: "old-school activists should make room for new voices" seems to imply that one group should stop advocating its position so another group can advocate a different position. It seems to me that long-time activists don't in any way prevent any new activists from making their views known. Our political process has lots of room for anybody to advocate their views; there is no limit on participation. "New voices" are welcome. The "old voices" don't prevent "new voices." Our system works best when everybody participates, and saying "old-school activists should make room for new voices" discourages democracy. Look at the membership of MCCF. It's predominantly old and white and retired, and in the words of one member who left the organization, their position is "saying NO to everything." Tell me, if there were so many opportunities for lots of different people to join that organization, why haven't they already? Because their outlook is intentionally exclusionary and insular. So yeah, they can keep doing what they do. But they shouldn't expect the rapt attention of a county who no longer looks or thinks the way they do. Rose Crenca is correct. If you want urban living, thats why there is the Metro to downtown DC. just because we have "change" doesnt automatically make it a good thing. That is tantamount to mob rule. People need to use their brains before opening their mouth. Making MoCo just an extension of DC lifestyle simply invalidates our identity as something SEPARATE form DC. This has happened before in our history, and apparently we have not learned our lesson. 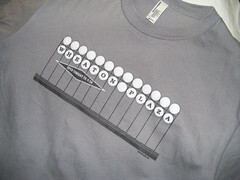 Towns like Wheaton and Glenmont now sport a "silver Spring" label at the post office, despite not being IN Silver Spring. They have been assimilated and resistance was futile. So now we have those in MontCo who want the "old guard" to essentially be quiet, they have had their say, now the new guys expect to just walk in and take over. As much as the folks accused of being "rich white women" had their issues, new blood does not disqualify them from speaking. Civic participation as well as intelligent planning for the future do not come with an expiration date. The same is now true for those who want urban growth in Montgomery County. The justification of "we want it that way" is shallow and self serving at best. Urban living? DC is a scant 3 miles away, friend. Have at it. In the 1880's, B.F. Gilbert laid out Takoma Park with little care to where Eastern Avenue was, because it didn't matter if his houses were in Maryland or DC at the time. Suburban flight after World War II meant that MoCo had an opportunity to cast itself as something "other" than DC, but it was never really true. We're all part of one region. There are, and have long been, suburban neighborhoods in DC, and urban neighborhoods in MoCo. I grew up on the 14th floor of an apartment building in downtown Silver Spring in the 1990's, and I'm sorry, but I can't undo that or the desire of anyone else who wants that lifestyle in MoCo, because they've been doing it for decades. Nor am I or anyone who supports increased development in MoCo (including Rollin Stanley) saying you can't have your single-family house. It's not, nor was it ever, either/or. "We're all part of one region. There are, and have long been, suburban neighborhoods in DC, and urban neighborhoods in MoCo." Exactly, and well said. It's remarkable how insular some people can be and how that so drastically can mangle someone's perception of the world around them. That's fine if you want to live in some 1950s single family home. No one is forcing you out, but to think the county has and always will be stuck in that time period is lunacy. It's as if the previous generation completely forgets the fact that they, too, carved up and re-purposed the county to suit their needs and desires. That has happened for centuries and will continue to happen for centuries to come. To not see, understand, and be open to that cyclical aspect of growth is the highest and worst form of selfishness and NIMBYism. People like Robert, Richard, Rose Crenna and the "rich white women of the coven" (sorry, couldn't resist) belive the only good planning is their type of planning---where growth is extremely limited in the areas they currently live and spend time. They rally under the cry "we must plan better", but that is just code talk for "slow it way down to where we don't feel threatened". The problem is that the current and projected demographics of the county are far different than the slow growth people are. They are an ever-dwindling percentage of our county and regional population. Does that mean that their opinion doesn't matter? No, but to quote a famous pointy-eared alien "the needs of the many outweigh the needs of the few". We have NO CHOICE but to try to plan the urbanization of our many dense places. It is going to happen whether we plan it or not so we might as well try to gain some control over it. One day in the next 10-15 years, the slow growthers--if they are still lucid/alive--will realize they didn't see the train until it ran them over (or, more likely didn't see the LRT or BRT until it ran them over). Right, because younger activists like being disrespected by County officials. I suspect that if Mr. Stanley wasn't biased in favor of developers, you never would have written this piece. David Adams said: "People like Robert, Richard, Rose Crenna and the "rich white women of the coven" (sorry, couldn't resist) belive the only good planning is their type of planning---where growth is extremely limited in the areas they currently live and spend time." My comments had nothing to do with whether or not I agree with any particular position on zoning changes. I simply said that Mr. Stanley's comments were unacceptable because he attacked people rather than their ideas. His lack of respect for others, regardless of their views, is the problem. I made no comment on Mr. Stanley's views about zoning. Public officials say stupid things. And yet I never heard Robert or Meredith Wellington or any of y'all call for Leggett's ouster for saying a whole mess of stupid things last year to support his curfew. He repeatedly and publicly made Silver Spring out to be a den of crime. I'm sorry, but I think that's a lot more damaging than referring to a rich white woman as what she is. And make no mistake: I support what Stanley's doing. I think he's doing a great job and giving MoCo residents what they've asked for: more amenities, more jobs, more stuff within walking/biking/transit distance. When I worked at the Council, the vast majority of constituent correspondence we got for the White Flint Master Plan was in favor of it, and it got passed. If that's not respecting opinions, if that's not democracy at work, I don't know what it is. Remember the Ghermezian wave pool? Or the Silver Triangle mall? Two major urban planning disasters averted, thanks to a whole bunch of "old voices" fighting the county government. Those same "old voices" got behind the plan that is now bearing fruit in downtown Silver Spring, and I think we've got something great there. Personally, I'm a big fan of density in proximity to Metro transit (YIMBY!). At the same time, I was aghast at the initial zoning re-write proposal to massively up-zone all R-60/R-90 suburban neighborhoods (NIMY, thank you). In effect, the planners actually *were* proposing that we can't have our single family neighborhood. And it was some "old voices" that alerted me and my neighbors to this and helped put the kibosh on it. I'm thankful for all the voices out there for informing my personal viewpoint. I agree that it's sometimes appropriate to say no. The American Dream Mall would've been a disaster, and I'm glad the community rose up to fight it. Having many voices is important and laudable, though as I've said before, I don't think MoCo's civic activist community has always been open to different voices.